Where to start? Tonight is Friday, about 8:00 pm and as we stand around Anthony’s bedside, Elle, Kim and I are talking about how our sense of time is so skewed. It has been 21 days since we received that dreadful call from the San Mateo policeman who was first on the scene where Anthony and Elle’s neighbor found him. Rewind back to Wednesday, February 20: Kim and I are walking our Recovery Walk to the Stanford Hospital GI Neurosurgical Unit. As we enter Anthony’s room, we hear the music of a volunteer strumming his guitar at the foot of the bed. This must have been soothing to Anthony because is certainly took a little edge off of our anxiousness. After a few moments, we introduce ourselves to Jay his nurse. We had packed our rental car the day before thinking we that were going to Kentfield Rehabilitation and Specialty Hospital which didn’t happen because Anthony was running a fever most of the day Tuesday. So of course we wanted to know if Anthony would be leaving the GI unit today and how he did last night. Jay said his fever was normal and that May, our case worker, would know. I immediate left the room while Kim stood by Anthony’s bed. I had met May the day before, I was impressive with her knowledge of her patients, insurance and she answered my many questions regarding Anthony. 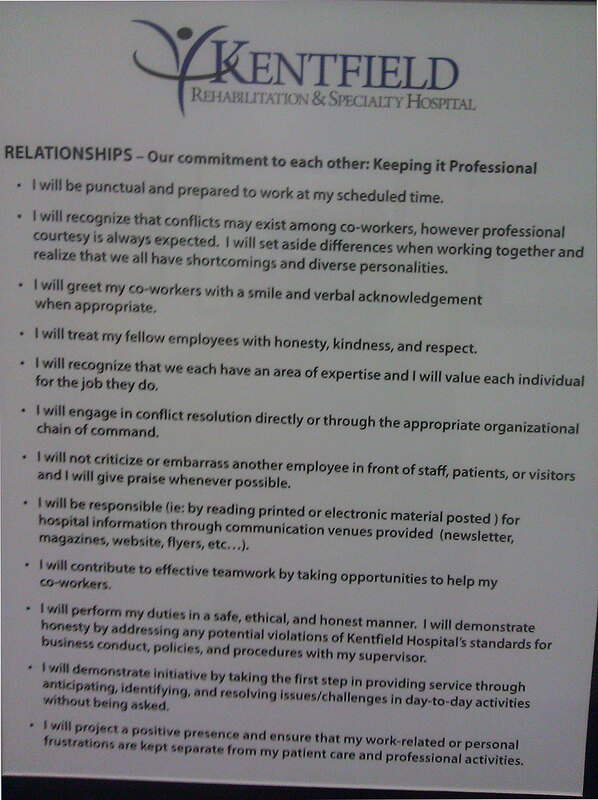 When I went to the nurse’s station and asked for May, they said she would be in a meeting until 10:30 or so. Since we had pretty much moved out of our H.O.M.E Apartment refuge the night before when we thought Anthony was going to be moved on Tuesday, were ready to go at a moment’s notice. However, Anthony stayed in GI Neurosurgical that day because his fever had not abated. But today, Wednesday, all signs pointed to him leaving. Once we knew what was happening, Kim and I planned to rush to Kentfield Rehab before the ambulance got there as needed to secure a new roof over our heads. Right after May got out of her meeting we met. She verified Anthony was in fact going to leave Stanford around 1:00 pm so Kim and I walked back to our H.O.M.E apartment to officially check out. When we met with the manager of H.O.M.E, I told her what a great place this was for family’s and loved ones of patients at Stanford Hospital. I told her I wanted to write the foundation who owned the building. She gave me the names and addresses so that Kim and I can write a letter expressing our heartfelt thanks; being able to stay so close to our son while he was struggling to stay alive was a great blessing. After putting the Kentfield Rehabilitation & Specialty Hospital address into the GPS on my cell phone, we headed out to Kentfield. The previous week we had visited Kentfield but I still wanted to use our GPS for the 90 minute drive from Palo Alto which included a trip across the Golden Gate Bridge. I told Kim the view was magnificent and that it was too bad we weren’t in the right state of mind to enjoy it. We called Stanford Hospital to see how Anthony was doing and asked if he had left yet. Jay said he was actually on a gurney as we were speaking on his way to the ambulance. We asked Jay if he would please give him something for the ride. Jay said he would. Anthony was going to take a trip across the Golden Gate Bridge and we wished he could see the views we were seeing. Wednesday, February 20: The first time we visited Kentfield, Debbie, the case manager, gave us a number for Heather at the San Francisco Theological Seminary. Founded in 1871, this 14-acre hilltop retreat was built to train Presbyterian pastors; a real seminary located just down the street from where Anthony was starting his recovery process. This was exactly the kind of setting that Kim and I knew would be good for us, similar to our apartment in Palo Alto H.O.M.E. Kim and I learned early on that we had to take care of ourselves. No matter how sad we might feel, or how difficult our situation might be, we had to take care of ourselves so that we could take care of our Anthony. When we arrived at the seminary, Heather met us at the apartment. Kim and I knew immediately that we wanted to stay at the seminary. We really hit it off with Heather. We asked Heather if there was any way she could take less for the apartment. She said she had been thinking of doing just that. Kim and I felt very emotional about her offer and thanked her with tears in our eyes. This was going to be a great place. Each evening we could quietly re-charge our energy and rebuild our strength, so that the next day we could make good decisions about Anthony’s care. The San Francisco Theological Seminary, another blessing to count in this tragic journey: a refuge that offers quiet surroundings accompanied by continuous prayer, a good place for healing. Monday morning we woke up thinking things have to be better. We had just been through Sunday night. Nothing could be worse then what just happened the night before. Kim and I call our walks from our refuge at H.O.M.E apartments to Stanford Hospital as “The Walk To Recovery”. Like to many days before we took our Walk To Recovery to Anthony’s bedside. This time we went to the GI Neurosurgical Unit instead of the ICU. He look so peacefully last night when we left. We felt pretty good until one of the doctors told us they were moving him. Kim and I looked at each other in amazement. After seeing him the way we did Sunday night we thought “how could he be ready’. We knew this was not good news. We resisted and told the doctor we know Anthony’s was not ready to go to rehab. He said the doctors through he was. Since we’ve trusted Anthony’s life in their hands for the past three weeks they must know what they are doing. So Kim and I resorted to the depressing reality that Anthony was going to be moved today without any prior notice to us. Not even a mention. This was really scary for us considering what we went through Sunday. After some time. The doctor we talked to came back to us and said he talked to one of the doctors in ICU and that doctor agreed Anthony was ready to go. I asked if he had talked to Dr. Harris. He said no he had talked to one of the other surgeons that were part of the team who operated on Anthony. He said the move was set for later today. Again we asked him if he could do something we just didn’t think Anthony was ready. Part of the issue is we want Anthony to be as strong as he can be when he goes to Reventfield Rehab. And we know he needs to rest before he starts rehab. More time went by and the same doctor came back again. This time with different news. He said he had talked to Dr. Harris this time. Expressed our concerns and told her about his high heart rate and continual fever. Dr. Harris gave her consent to let Anthony stay. We gasped and look at one another in disbelieve. For us it was great news. We felt for now, Anthony would be safer being in a hospital setting versus a rehab facility. These morning events absolutely ruined our day. I live my life I’ve lived with this philosophy “there is one thing in life that we control. It is our attitude. There is no other thing in life that we have complete control of except our attitudes.” I can tell you these events took our attitudes to a low level. After our scare about Anthony being moved late morning Kim and I meant with Shirley who represents Santa Clara Valley Medical Center in San Jose. They call it The Valley. Shirley set up a meeting with Ann Perkins who meets with the love ones of future patients. Anthony is not well enough to go to the Valley yet. 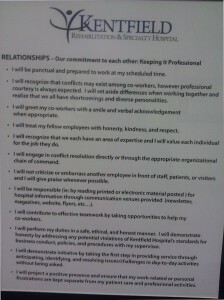 He needs to improve; this is why we have to make sure he advances at Kentville Rehabilitation And Specialty Hospital. To everyone reading this please pray to give Anthony’s the strength, attitude and the kind of determination to achieve the advancements necessary to live and happy and independent life. When we got to the Valley we called Shirley. She meant us in the rehab lobby and took us to a conference room. We talk her for awhile. It was a very emotional conversation. After we talked we went to the ward were Anthony would go after he leaves Kentville. We had hoped to meet Dr. Duong but she had an emergency come up. Dr. Duong is Vice Chair, Traumatic Brain Injury and General Rehabilitation. Kim and I liked the Valley, the people and the fact the Dr. Duong has a very good professional relationship with Dr. Dr. Doherty of Kentville. Our goal is to make sure Anthony it top of mind with both these doctors so they will be discussing his case on a frequent basis. We have a long journey and we need as many professionals on our side as much as possible. After leaving The Valley we drove back to Stanford Hospital. We had a short visited with Anthony and then went back to our apartment to eat and rest a little. After dinner On our Walk To Recovery to see Anthony Kim said something that made a lot of sense “ we aren’t going to get anything done if we have a Pity Party”. I agree you Go mother of my son. We got to ICU early Sunday morning. We were planning to going to church with our Palo Alto angels Christen and Steve from Peninsula Bible Church. We had texted them Saturday evening about our plans and they were excited about us attending their church as we had done last Sunday. As we entered Anthony’s room it was obvious Anthony was more observant then at any previous time since February 2. We almost had to peel Lisa, Anthony’s ICU nurse off the ceiling because she was so excited Anthony had responded to her. Being responsive to requests is incredibly important to the healing process for brain trauma patients and Anthony has begun that process. Early on Sunday morning Lisa asked Anthony to hold up two figures and his thumb. He was able to do those things. It wasn’t prominent but he did do them when asked. When Kim and I walked in the room Lisa could hardly wait to tell us. The other nurses on duty were excited to tell us what Lisa had seen as well. Elle was on duty at United. After enjoying the moment, I immediately called Elle to tell her the news. She said she was going to come over to Stanford Hospital right after work. I went back to Anthony’s room and told Kim I didn’t what to go to Peninsula Bible Church; I wanted to spend some time with Anthony. As the morning pushed toward noon, Anthony fell asleep and Kim and I decided it was a good time to run errands while he slept. While we were out we bought some meaningful Thank You cards for all the ICU nurses that were taking care of Anthony. They all seemed to be very touched. I know Kim and I have been touched by what they are doing for our Anthony. There is nothing we can ever do to thank them enough for taking such good care of Anthony in his critical time of need. It was mid-afternoon when we got back. Christen and Steve, our personal angels, texted to see if It was ok for them to come over. I said absolutely! Unfortunately, I was out of Anthony’s room when they came by but after they visited, Kim found me in the hallway and said Christen and Steve had dropped by. Their visit was like a little oasis in the middle of this terrible tragedy. When they came back, we talked and laughed and they told us about a friend of theirs whose daughter got in a terrible car accident. She had an extremely bad head injury. They said it was a long journey but it had a positive outcome. Unbeknownst, we were about to take a fast trip to the downhill side of the road to recovery. After visiting with our new friends, we went back to our H.O.M.E apartment and had dinner and tried to rest. We headed back to the ICU about 9:30 pm. 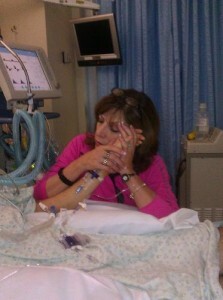 when we entered Anthony’s room it was a far cry from the joy filled ICU room Kim and I had entered this morning. There was a lot of negative energy in the room. There where paper bags stacked on top of his bed along with plastic boxes full of drugs and essential paraphernalia to help keep Anthony alive and well. Kim and I looked at each other. This was terrible; all the confusion and negative energy. In the middle of all this commotion Anthony had his eyes wide open looked confused and anxious. They were taking him to the Neurological ward on the first floor. Kim and I immediately raced to be beside Anthony with the hopes of comforting him. It is so scary with a brain injury. You really don’t know what the injured person is thinking, seeing or feeling. Kim and I followed Anthony down the hospital hallways and boarded the elevator to the first floor. His breathing escalated and his face showed more and more anxiety. When Anthony got into his new room in the neurology ward, his heart rate and breathing difficulties continued to escalate. The look on his face was one of anguish and high agitation. We were beside ourselves. We discussed the situation with his new nurse. Finally about 11:30 pm the nurses said they were going to turn him and adjust his position and give him something for his heart rate. We walked back into his room about midnight. His heart rate was under control, breathing was back to normal, and he looked so peaceful with his eyes closed. I don’t know what we would have done if he would have continued the way he entered the neurological ward. I know we wouldn’t have left. We would have stayed there all night. Leaving his room while he looked so peaceful reduced our own anxiety and made it possible to find some peace of our own. We started the day off with a plan. Elle and Lily would stay by Anthony’s bed side while Kim, Ryan and I would visit some rehabilitation facilities. Our original plan was to visit Kentfield Rehabilitation & Specialty Hospital and another one in San Jose. I stayed back in our nearby refuge the Apartment H.O.M.E. which is walking distance to Stanford Hospital to set up appointments and get directions to the different facilities. When I got to Anthony’s bedside we were telling the nurse what we intended to do and she suggested visiting Kentfield first because traffic would increase as the day went on so the earlier the better. We got started around 12 although we intended to start earlier. I had called Kentfield earlier and talked to admissions. Caitlin, pictured here, was in charge of admissions and was not only really nice but actually knew about Anthony’s case. I asked her if we could tour Kentfield Rehabilitation and meet one of the doctors. She asked the approximate time we would be there and I said we would call her when we left Palo Alto. I called Caitlin about noon and told her we were leaving. It as was a beautiful day and the drive was a great diversion. Kentfield is about 20 miles north of San Francisco, not far past the Golden Gate Bridge. On the way to Kentfield, Ryan, Kim and I commented about the mountains and how beautiful the bay was as we drove through San Francisco. When Anthony was 17, he and I took a week long father and son trip to California. We traveled along the California from Los Angeles to San Francisco and above. Anthony and I had a terrific time. The first night we were in California was a Saturday and we woke up in Mountain View. That morning we used Google to find the different locations for Yahoo, EBay, Google and Cisco. We then traveled to each one of the offices and took pictures of each of us in front of the signs. Kind of goofy I know but we had fun and when you look at some of the photos you can see how much fun we were having. On our trip we visited the Hearst Castle, looked at the Graffiti at Venice Beach, stayed in San Francisco, visited Haight-Ashbury and crossed over the Golden Gate Bridge several times. Actually, we visited Haight-Ashbury twice. When I asked Anthony what he thought of Haight-Ashbury, I remember him saying, “it’s a bunch of old hippies, dad”. 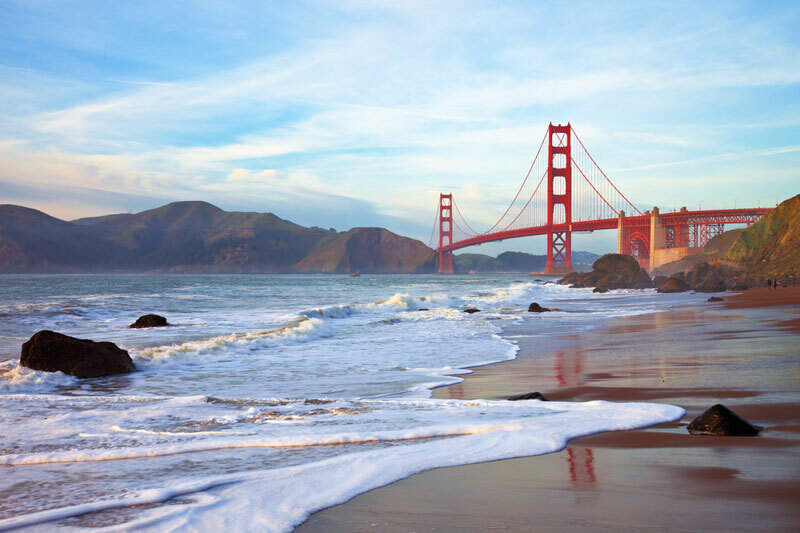 As Kim, Ryan and I finally crossed the Golden Gate Bridge, we started looking for Kentfield Rehabilitation & Specialty Hospital which is located in Marin County. 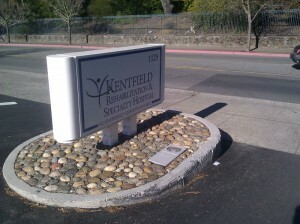 We need to find the best program for Anthony, one that helps as much as possible; it wasn’t long before we found out that Kentfield Rehabilitation is a wonderful facility. There is a great case manager at Kentfield, Deborah, who will work with Stanford Hospital regarding his records, and contact our insurance company and Anthony’s doctors and nurses. She is our point person. We also had a chance to meet Doctor Doherty, who is the director of the brain injury program. Ryan, Kim and I thought she was great. She was compassionate and she has almost 30 years of experience with brain injuries and she was born in Beaufort South Carolina. It truly is a small world. We spent about an hour and half talking to staff and even had a chance to speak to one of the patient’s father. We left there feeling very good about the next step necessary for a Healthy Recovery for Anthony. While we were there, we also located a possible place for Kim and I and other family members to stay while Anthony improves enough for him to go to another rehabilitation center that is south of Palo Alto. We left Kentfield about 3:30 and so we caught some of the traffic coming back to Stanford Hospital. All the time we were up at Kentfield, Elle was keeping us informed about Anthony’s condition. He was running a fever most of the day and his heart rate was higher than it should have been. By the time we got back it was after 5. We briefed Elle and Lily about Kentfield and gave them some of the brochures. We also gave Elle Caitlin’s number so she could call her. Later that night we got a call from one of the doctors regarding Anthony’s consistent fever. They needed our consent to do a Spinal Tab. They want to take fluid out of the bottom of his spine to make sure he does not have an infection. We are still waiting for the results although they are giving Anthony some antibiotics.